Peter is an extremely busy man; being a qualified Pony Instructor, the treasurer for the Goonanamen Anglican Parish, a member of the Bundaberg Male Voice Choir and an entertainer at nursing homes; all while looking after his family and training in his sport of horse riding. Being already involved in horse riding for the disabled, taking his son, when Ray was involved in a workplace accident causing spinal trauma, he took up riding to keep the strength and mobility in his back. 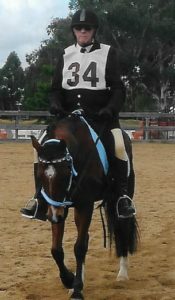 Peter began taking part in competitions and soon found himself in the 2015 State Championships for disabled riding, also being selected to compete in the national championships. 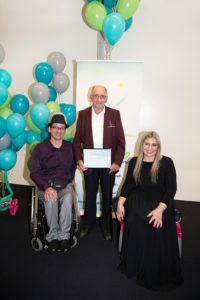 Peter’s ultimate sporting goal is to become and champion Riding for the Disabled Association rider and his advice to any athlete is that if you want to get anywhere in life you have to be prepared to work through pain and whatever else is thrown at you.